The Needles of Rushmore encompasses most of the same areas described in the new guidebook. 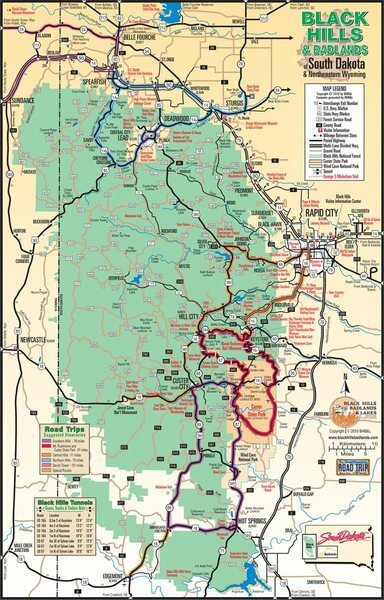 This is one of the more complex areas in the Black Hills. There is endless rock as far as the eye can see. With the tall granite formations of Mount Rushmore to the vast sea that is The Chessman on the flanks of Black Elk Peak 7,242ft ( Harney Peak.) Or as one looks out among the oasis of spires scattered in a serene valley. Situated ready for the next adventurer to find his or her way to their summit. The Playground offers a grand Black Hills experience and from the distance you can see the mighty Cathedral Spires and Little Devils Tower. for most of the information listed on this page a good hub town for these areas is either keystone on the east or Hill City on the west. Most of the climbing lies between these two towns.